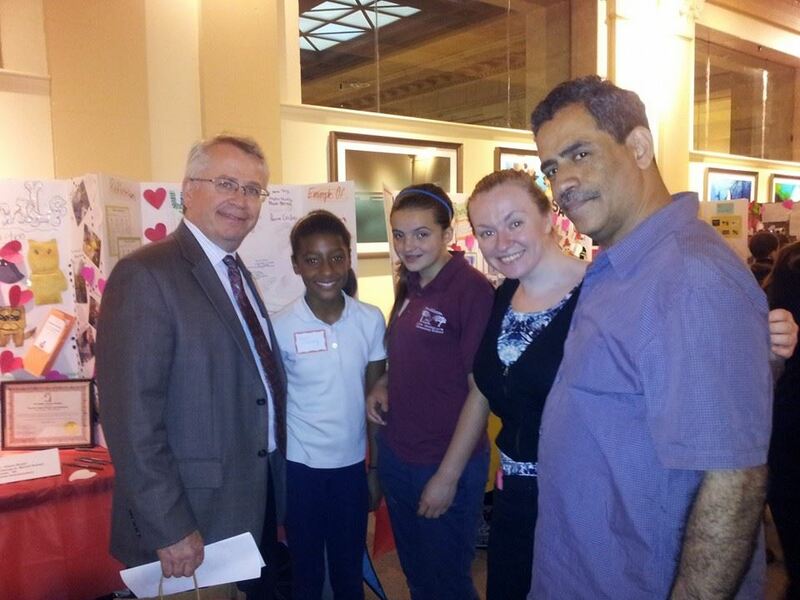 Mr. Ramos (at right) pictured with students and Need in Deed Representatives. Last year Cook-Wissahickon began its involvement with Need in Deed, an organization that supports teachers who integrate student service learning into the curriculum. 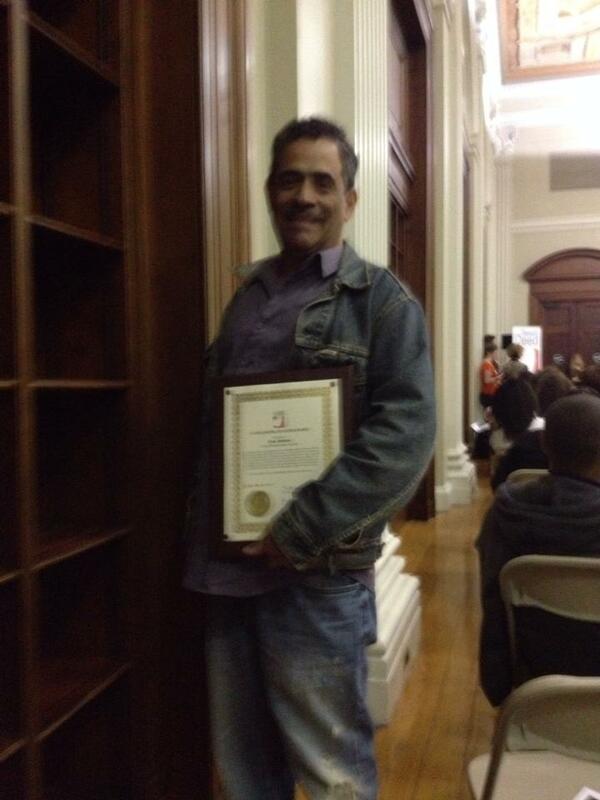 Jose Ramos, beloved seventh-grade English teacher at Cook-Wissahickon, was the key organizer behind our school’s work with Need in Deed both this year and last. During the current school year he was able to coordinate the faculty and students in grades 5-8 in several year-long service learning projects. His amazing work with our students has earned him the Outstanding Teacher Award from Need in Deed, presented during the Service Learning Shout Out held at the Franklin Institute last week. One of the central tenets of this service learning program is to have students generate their own group project ideas and weave research and action into the academic curriculum. Cook-Wissahickon students in each grade involved selected a social issue and studied its contemporary significance throughout the year. Later during the school year, they reached out to community partners who enriched their understanding of the questions raised by each project. Each group’s work culminated with a community service project related to the issue chosen. Topics chosen by the students included Abuse against Women, Animal Abuse, LGBTQ Awareness, and Urban Blight and Revitalization. 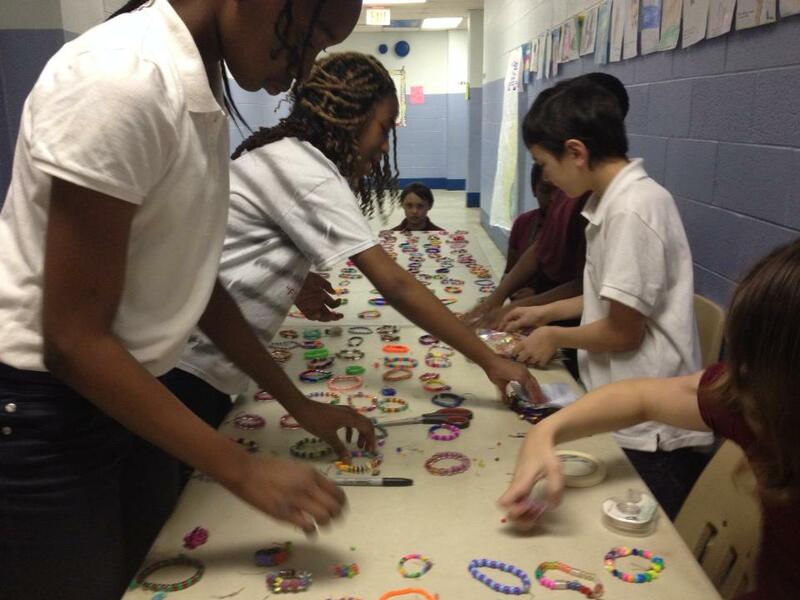 Several grades chose fundraising activities for their service work: the 8th Grade raised over $500 to donate to the Attic Youth Center and the 5th Grade raised awareness and approximately $300 for a domestic violence shelter by selling homemade bracelets at school. 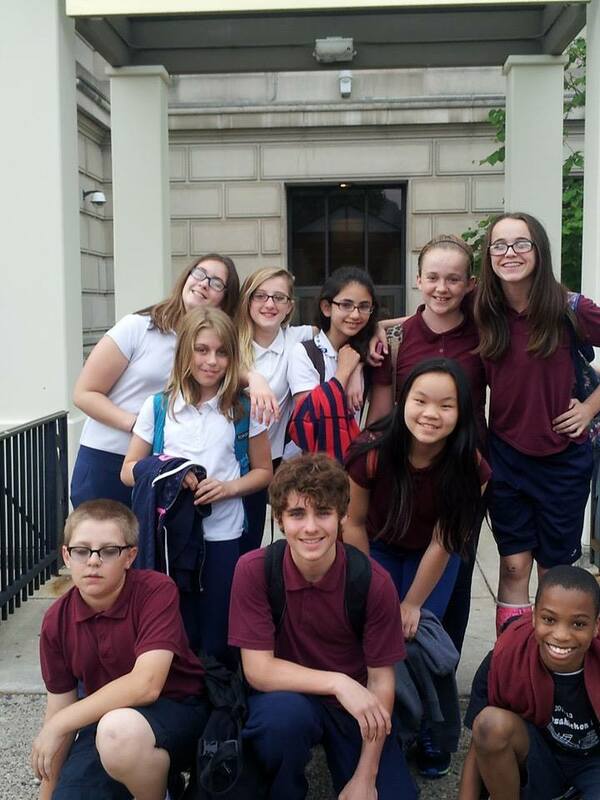 Seventh-grade students chose to focus on Cook-Wissahickon’s campus and environmental impact on our neighborhood and region. They added a new mural to the outside of the school and are currently continuing their work on our school campus by constructing a raised bed to hold native plants (donated by the Schuylkill Center for Environmental Education). The 7th Grade chose to tie their efforts to Cook-Wissahickon’s master sustainability plan, which focuses on staving off storm water runoff and reducing point source pollution that would otherwise end up in our river. Read more about this ongoing work here. Teachers Stephanie Hannon and Mindy Cohen worked with students along with Mr. Ramos. The seventh-graders will be assisted in building their raised bed by Dave Gleason, parent of a current fourth grader. We were also fortunate to have the assistance of Ms. Kate DiCicco, a student intern from West Chester University. At some point, the NID (Need in Deed) staff might run out of adjectives to describe how awesome they think this 2nd year NID teacher is. He is creative and adventurous, and he infects his students with these same qualities. He’s willing to try anything and his students are free to explore a topic and run with it. As a result, students want to be in class. They want to learn. When he said he wanted to do projects with multiple classes this year, Need in Deed program staff had reservations. Usually they advise against tackling more than one project at a time. But he pulled it off brilliantly, with his 7th and 8th grade students diving into the issues of urban blight, LGBTQ discrimination and bullying. He is also committed to developing himself professionally. He knows that networking and collaborating with other like-minded teachers helps his personal growth. He presented about integrating service-learning with the Common Core at the Philadelphia Federation of Teachers Annual Conference in March. And just last week, he talked about the value of classroom community partnerships for an audience of educational leaders attending a class at Arcadia University. I’m so happy to present the first Outstanding Teacher award to Jose Ramos, a teacher at Cook-Wissahickon in Roxborough!